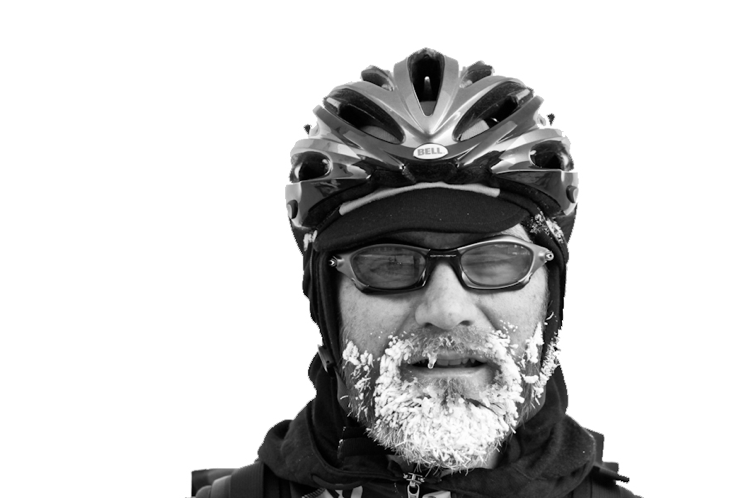 Nearly a year ago we decided to create a brand devoted specifically to the needs of cold weather cyclists. In that 12 month period we wrote a business plan, created the brand identity, launched the brand, and designed and delivered a small line of tires to the market. Now the time has come for us to launch the 45North website! It has been a strangely snowless winter in Minnesota, which has made it challenging to shoot photography of people riding on ice and snow. Back in August we were calling frozen foods distributors and dry ice makers asking if we could use their freezers. The idea was to set up indoor trainers, get suited up and ride until we developed frosty beards. It turns out there are government regulations preventing use of food freezers for such things, so we waited until December to begin tackling this project. Meeting on the Greenway bike path in central Minneapolis ended up being a great place for a photo shoot. 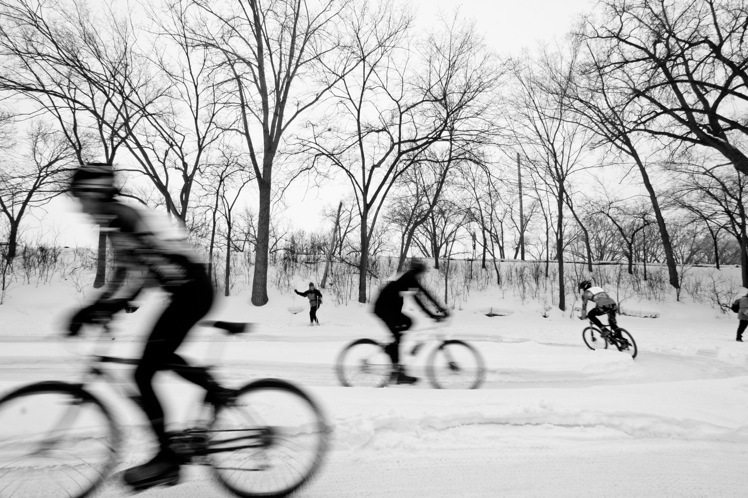 Minneapolis is full of winter cyclists like us who enjoy commuting in the winter, as well as the occasional race on one of our many frozen lakes. 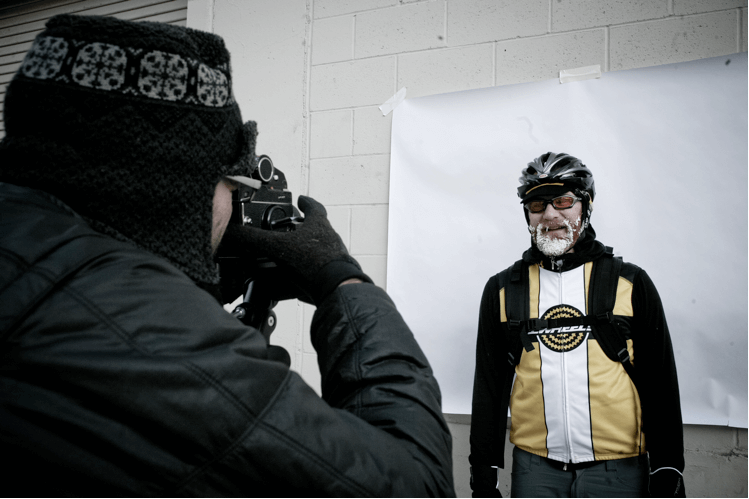 Our friend Mario stood by patiently waiting for us to make our adjustments and get the shots just right, as the sub-zero wind-chills pressed us. The early results were a good start to the project. You will see a lot more frosty beard shots from 45North in the future.